The UN estimates that 4 billion people worldwide live outside the protection of the law. These people can be driven from their land, intimidated by violence, and excluded from society. This book is about community paralegals - sometimes called barefoot lawyers - who demystify law and empower people to advocate for themselves. Paralegals date back to 1950s South Africa and are active today in many countries. But their role has largely been ignored by researchers. The Community Paralegal Movement and the Pursuit of Justice is the first book on the subject. 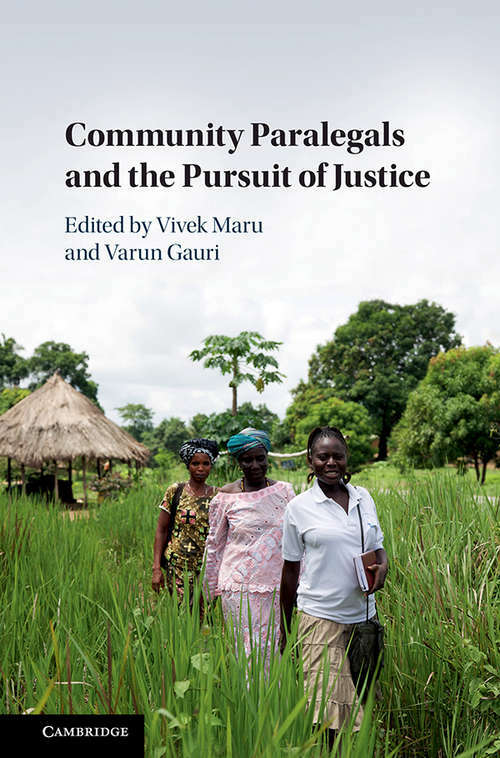 Focusing on paralegal movements in six countries, Maru, Gauri, and their co-authors have collected rich, vivid stories of paralegals helping clients to take on injustice, from domestic violence to unlawful mining to denial of wages. From these stories emerges evidence of what works and how. The insights in the book will be of immense value in the global fight for universal justice. This title is also available as Open Access.